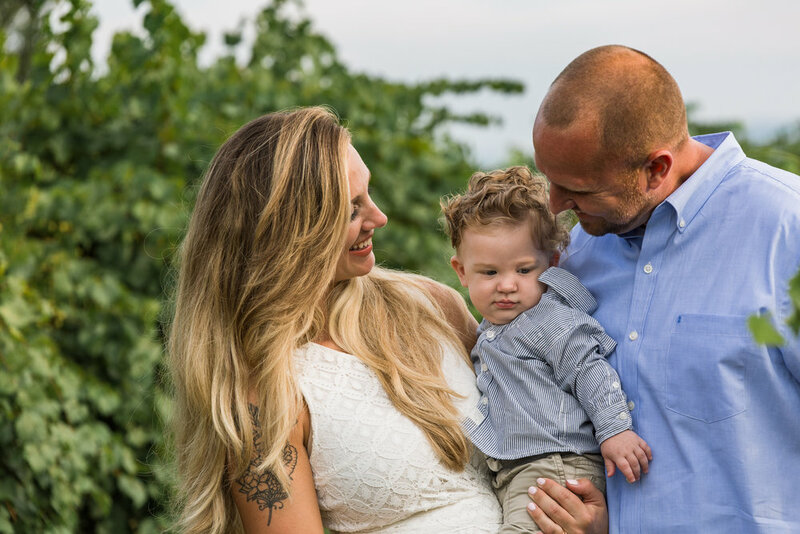 The Romance of a Vineyard - Kristina and Luke's Engagement Session at Tsali Notch. Meet Kristina and Luke. And their son, Jameson! 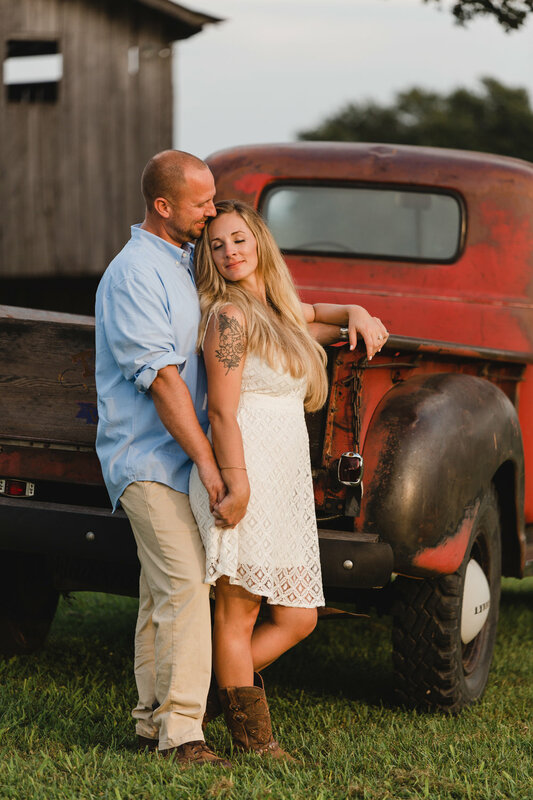 They will be getting married in October in Sevierville but told me that they wanted their engagement session in a beautiful location and they wanted "an old truck." Any time a client makes a special request, I try to make it happen, be it "a view of the Smokies from horseback" to stopping at a special place to remember a loved one. 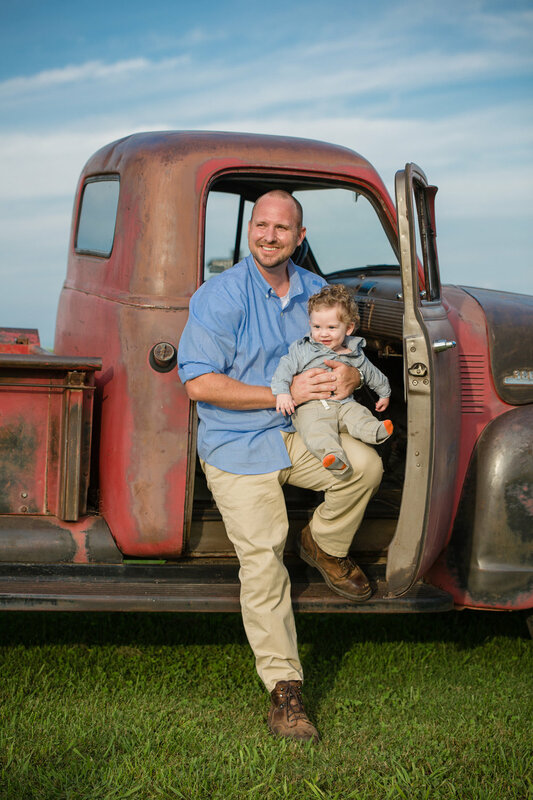 When you are taking the time for pictures it is a special time, so I do my best to find the place, the setting, or the time for my clients. So where to find that old truck? I knew the place - Tsali Notch Winery in Madisonville, Tennessee. 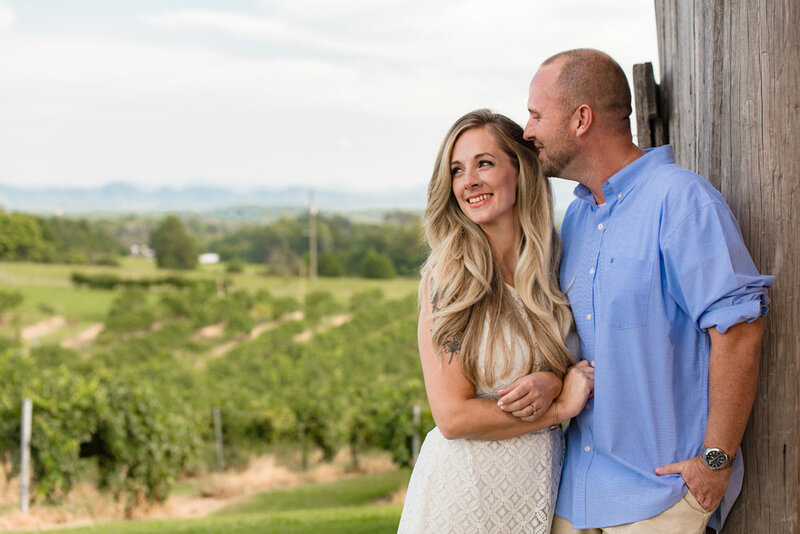 And there is definitely an air of romance there - set atop a hillside in Monroe county, it provides an unparalleled view of rolling hills with rows of grapes and to the east the mountains of the Cherokee National Forest. And did I mention it is a winery? Yes, there is a wine tasting room there! And how can you not fall in love with a big, beautiful baby boy! 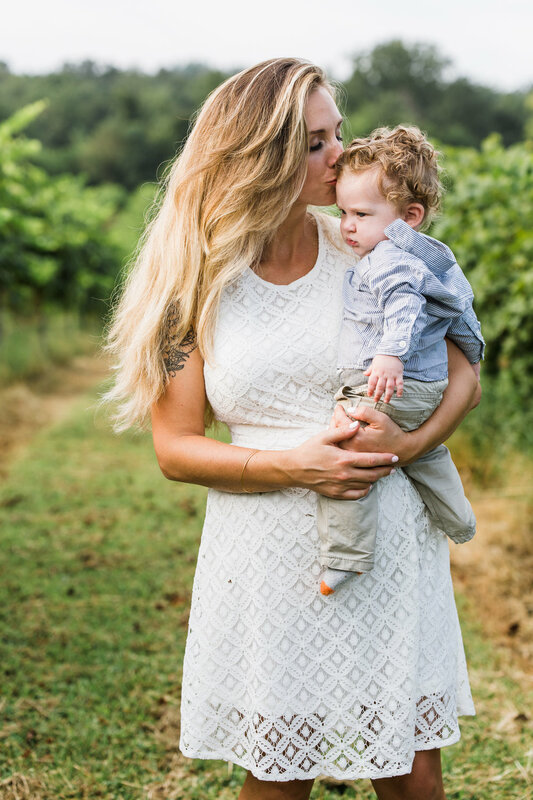 Jameson was a trooper, waiting patiently while Mom and Dad did their shoot, occasionally getting into the action. Enjoy these pictures. Man, they are going to a gorgeous bride and groom! I used a special technique for this image that meant stitching together 31 images in Photoshop to create a wide angle picture with a shallow depth of field.